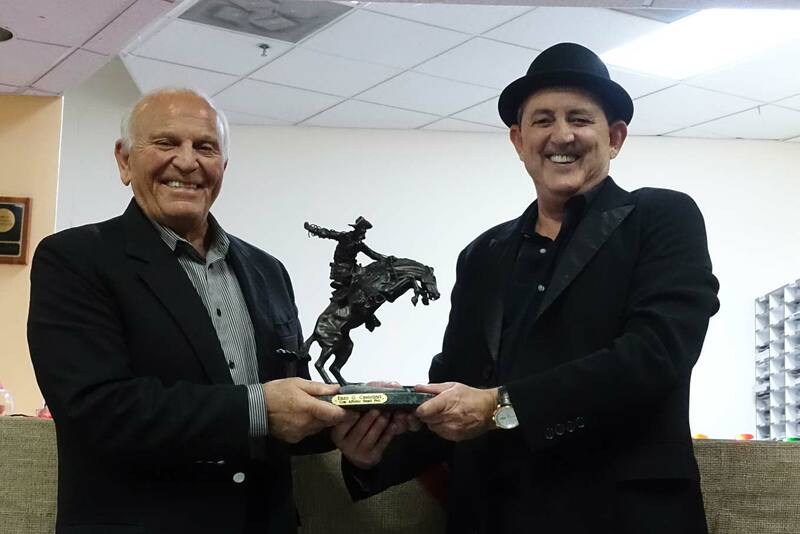 The theme at Band Pro’s 2014 Open House and Expo was “Spaghetti Westerns.” The food was Italian inspired. Yes, there was spaghetti. The models in the hay-strewn camera shooting gallery were garbed in Franco Nero ponchos and Italian Western outfits. The center of attention was wonderful Enzo G. Castellari, Director of Keoma, One Dollar Too Many, Seven Winchesters for a Massacre, Go Kill and Come Back, the original Inglorious Bastards, numerous spaghetti westerns, macaroni combat films, and inspiration and friend of Quentin Tarantino. There were several product introductions at the Expo. Convergent Design showed their new Odyssey7Q+ monitor/recorder. What’s new is 4K/UHD video via HDMI and Apple ProRes 422 (HQ) recording. AJA had a working, pre-release CION 4K/UHD camera that shoots directly to internal ProRes 4444 and should be shipping soon. Eva Paryzka had the first Angénieux Optimo Anamorphic 30-72 mm T4 2S zoom in the USA. Thanks to Jacques Lipkau Goyard for introducing Enzo Castellari. Hollywood Reporter reported, “Veteran Italian director Enzo G. Castellari, one of the last of the original Spaghetti Western helmers still working…has a new project planned.” Quentin Tarantino and Franco Nero are expected to star. An interview with Enzo Castellari at the USC screening of Keoma is coming soon. During the Q&A, Enzo explained how he truly embraced digital filmmaking, allowing him to edit immediately on set and have greater control. He also said he might cast Amnon Band, who he called “a real actor” in his upcoming film project. The nature of the part was not revealed. Click on first thumbnail below to begin slideshow. Gerhard Baier (Leica/CW), Steve Tiffen, Steve Manios Jr.
Amnon put on a great Open House and his hospitality was fantastic. Thanks for a great show and wonderful food. Great to see Enzo honored for his many years of excellent Italian films.